Chocolate and coconut are always a delicious combination. Sometimes, they meed in the form of a chocolate-dipped coconut cookie and coconut is the star. Other times, coconut is added to chocolate for texture and the chocolate takes center stage. In these Coconut Macaroon Brownies, both of these flavors share the spotlight: fudgy chocolate brownies are packed with shredded coconut and topped with a crisp-chewy coconut macaroon topping. To make these Coconut Macaroon Brownies, you’re going to start with my recipe for Fudgy One Bowl Brownies and add chocolate chips and shredded coconut to the batter. Chocolate chips are an addition that I usually make, just for even more chocolate, and the shredded coconut adds a nice texture and subtle coconut flavor to the mix. The brownie batter is divided into individual muffin cups – I recommend lining them with paper liners – before being baked. You could bake the brownies in a square pan (following the directions for the original brownie recipe), if desired, but I love the look of these individual brownies and feel they have the perfect edge-to-center ratio for this recipe. The brownies are baked, then topped with a coconut macaroon mixture and baked again until the coconut is set and lightly browned. You don’t want to bake it until it looks completely dry, as you want the macaroon to be chewy in the middle (like the brownies) and crisp on the top. The brownies are ready to eat as soon as they have cooled completely and they can be stored in an airtight container until you’re ready to serve them. They should be crisp, chewy, coconutty and very chocolaty. The somewhat generous portion size makes them a little bit decadent – and you can also share them by cutting them in half, if you don’t think you can eat the whole thing by yourself. Preheat oven to 350F. Line a 12-cup muffin pan with paper liners. Prepare the brownie batter as directed by the brownie recipe (without adding extra chocolate chips or nuts, as suggested by the original recipe), then add in 1/2 cup chocolate chips to the batter, along with 2/3 cup shredded coconut. Divide batter evenly into prepared pan. Bake for about 20 minutes, until a toothpick inserted into the center comes out with only a few moist crumbs attached. While brownies are baking, prepare the topping. In a medium bowl, whisk together confectioners’ sugar, shredded coconut, egg whites, vanilla and salt, until ingredients are all moist and well-combined. When brownies are ready, pull them out of the oven and quickly divide the coconut mixture on top of them, gently spreading the mixture with a knife so that it covers (or mostly covers) the brownies. Return brownies to the oven for 8-10 minutes, or until coconut is lightly browned. Allow brownies to cool completely before serving. The post Coconut Macaroon Brownies appeared first on Baking Bites. The pleasure of fresh cherries is fleeting, so while there may be nothing better than eating them soon after they are picked, if you want to enjoy them year round, canning is the answer. 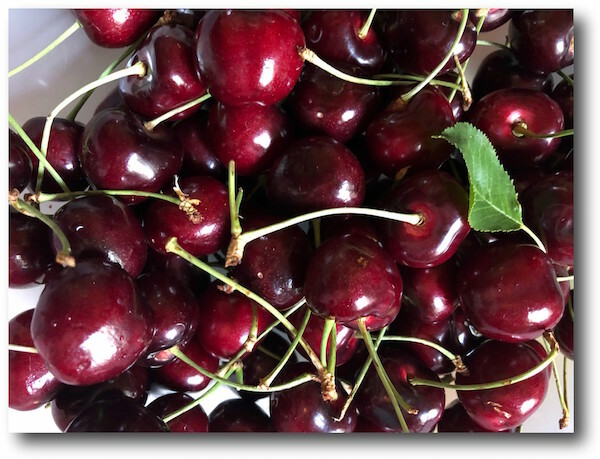 This year I decided to make bourbon cherries from the wonderfully sweet cherries kindly sent to me by the Northwest Cherry Growers as part of the “Canbassador” program. They are terrific in cocktails but also spooned over vanilla ice cream. This year I finally bit the bullet and bought a canner, it’s a small one, it holds 7 pint jars which is just fine for me. Over the years I’ve accumulated a number of canning accoutrement—the jar lifter, the jar funnel and the lid lifter. I use a variety of jars, but am particularly fond of the Ball® Sharing Jars I received from Ball® Home Canning. Designed for gifting, the company that produces them makes a donation to Feeding America for every package purchased (up to $150k). This year I used a recipe from Ball but I’ve expanded the recipe instructions to include all the steps you need to take. I’ve also replaced the brandy in their recipe with bourbon. I recommend choosing a delicious bourbon that isn’t too hot and has vanilla, spice and caramel flavors to complement the cherries. Get your jars, lids and band rims ready. Wash pint canning jars with soapy water. 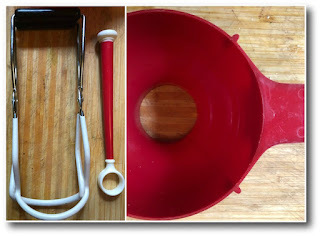 Rinse the jars throughly and place in a canner or very large pot. Fill the pot with water, cover and bring to a boil. Meanwhile combine the sugar, water and lemon juice in a pot large enough to hold all of the cherries. Bring the mixture to a boil and stir to make sure the sugar is fully disolved. Add the cherries. When heated through add take the pot off the stove and add the bourbon. Lift the jars out of the water, emptying the water back into the pot as you go. Ladle the cherry mixture into the hot jars, leaving 1/2 inch headroom. Wipe the rims and twist the rim band until “fingertip” tight. Place the jars careully into the boiling waterthen boil for 10 minutes. Turn off the heat and allow the jars to rest for 5 minutes in the canner. Remove the jars and allow to rest to 12 hours before testing to make sure the jars are properly sealed. Store for up to one year. 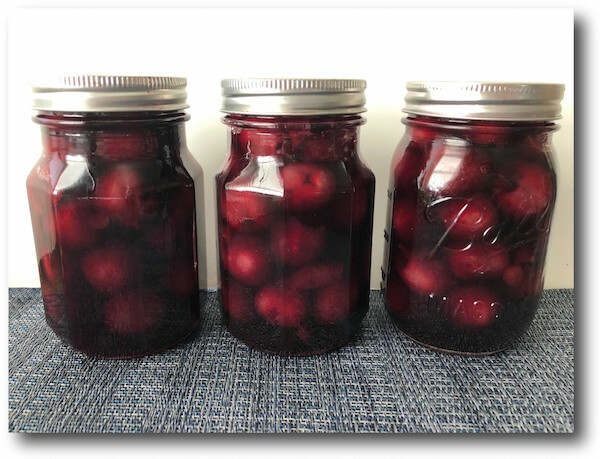 Disclaimer: My sincere thanks to both Northwest Cherry Growers and Ball® Home Canning both are great resources for recipes and information. Introducing The Must-Have Serving Tongs That No Kitchen Should Do Without! Culinary Couture is here today with the most premium set of serving tongs that will make serving and handling food a breeze! Whether you’re throwing a BBQ/Grilling session with juicy steaks, bacon and you need a dependable set of heat resistant tongs to handle your juicy meat, or you’re preparing healthy salads or pasta, we got you covered! Our set features a 7″, a 9″ and a 12″ inch tong so that you have all the right cooking tools for whatever delicious mischief you’re up to! Stay mess free as you elegantly serve your roast, salad, asparagus, tacos, appetizers, waffles or any other food is on the menu, and impress your guests and family! Our amazing kitchen tongs are packed with impeccable quality that simply outlasts any average plastic or wood tongs! The superior Stainless Steel construction, along with the heat resistant, BPA-FREE and FDA Approved Silicone, provide you with unmatched durability and functionality. The Silicone material is heat resistant up to 480°F, and makes handling hot foot easy, and absolutely safe! Plus, our tongs are also dishwasher safe, for maximum convenience! · 1x BONUS E-book “Barbecue Basics” with 55 mouthwatering BBQ recipes! So wait no more! Grab your feeding tongs today for you or for your friends and loved ones, and enjoy the most effortless and carefree BBQ sessions of all time! PREMIUM QUALITY MATERIALS: The Culinary Couture kitchen tongs are made according to highest quality standards so that you can enjoy them for as long as possible. Our locking tongs feature a sturdy Stainless Steel construction with top-grade Silicone heads that are heat resistant up to 480°F and far superior to rubber/ plastic. This amazing combination of materials guarantees maximum durability and peace of mind when you’re serving scorching hot delicacies, straight from your oven or Grill! PACK OF 3: Our set of kitchen tongs comes complete with a mini/short 7″ tong, a medium size 9″ tong, and a large 12″ tong. This set is packed with all the practicality you need to make serving and kind of food a breeze! Whether you’re planning on an awesome BBQ/Grill session or simply cooking indoors, our tong set will help you easily serve hot food like steaks, pasta, fish as well as cold dishes, salads and vegetables, without the fear of accidents, or getting burned! 100% SAFE: We simply cut no corners when it comes to our customer’s health! Our cooking tongs are 100% BPA-Free and FDA-Approved so that you can enjoy absolute peace of mind. Our tongs are perfect to use with non-stick cookware and are also odor-resistant. Furthermore, they can also lock by simply pulling the end, for maximum convenience and usability! BUY TODAY , BUY WITH CONFIDENCE: We know you’ll love the impeccable quality and practicality our grill tongs come packed with, but we also want you to buy with confidence. So feel free to try them out and we guarantee you won’t go back to serving any other way! Cute cat style coffee spoon. Easily matches with existing flatware. Safe to use. Food grade 304 stainless steel material, rust free and have a long lasting use, keep safe and health. It’s available using in office,home and coffee house whatever for dinner,coffee,tea or dessert break time. Gifts and presents. It’s absolutely a nice presents for friends and families. This post was originally published on November 12, 2014 and is now updated. I have added a recipe video and tweaked the recipe for best results. It’s that time of year again! Pumpkins are popping up everywhere and baking with them has started too! You’ve probably also spotted cans with pumpkin puree in your supermarket and plan on stocking up on them to make pumpkin pie. But wait! Don’t rush! How about we make pumpkin puree from scratch today? Because homemade is always the best! Plus, it is so easy to make! All you need is a pumpkin, an oven, and the if-this-can-be-made-at-home-then-let’s-make-it-at-home attitude, and you are good to go. The post Homemade Pumpkin Puree (Video) appeared first on AZ Cookbook.